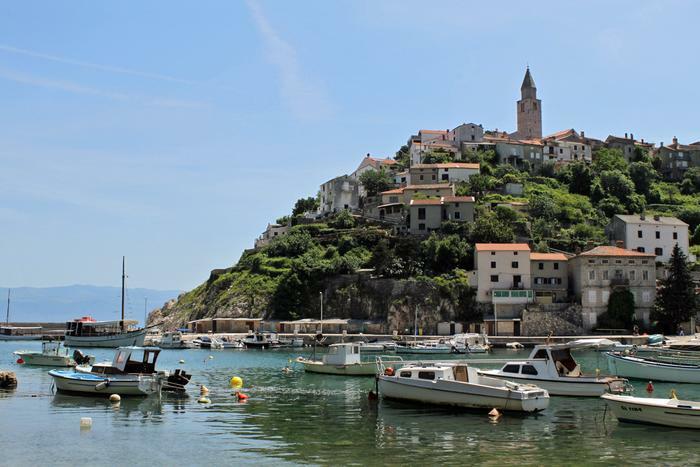 The beauties of nature and cultural heritage, a therapeutical climate and a diversity of scented herbs have made Kvarner a favorite holiday spot. A day spent sightseeing or at the beach should both be spiced up with a drop of autochtonous wine. We would like to use this opportunity to present some of them to you. The pale yellow dust of Susak island has brought forth the grapes used to make one of the most delicious wines, called Trojišćina. This Kvarner island is unique for its sandy soil, and up until very recently, as much as 95% of the surface was covered with vineyards. No wonder this so-called floating vineyard was the origin of delectable red and white wines. The island's sandy surface continues to baffle geologists, and the nuances of its winemaking are likewise a secret local tradition. All agree, however, that the pink drops of Trojišćina originated here, and this wine of long-standing tradition is an autochtonous enological pearl of Susak. Try it in the island's sandy bays, in a heavenly car-free setting, where even the population is so insular the neighboring islanders can hardly understand them. Vrbnik is a town on the island of Krk situated on a 150-foot-cliff. Behind its stony fortified exterior, there is a green hinterland where an endemic type of grape called Žlahtina is grown. From it comes an excellent, very drinkable golden-colored wine, which gave the grapes their name, signifying nobility in old Slavonic languages. The island of Krk is an important part of the story about the "flowing pearls" of Kvarner, as another exceptional wine comes from its vineyards. While the clusters of Valomet ripen on the soil of Kvarner, the magic of its maturation comes from the depths of the sea. Known as the marine champagne, it is held in mesh cages at the depth of around thirty meters (100 ft) where currents, pressure and temperatures all play their part in a unique chemical process happening inside the bottles. The packaging itself, complete with accumulated algae and seaweed, is a part of its locally-specific design.